I have no pranks to report for April Fool’s Day. Although we did get another snow storm that dropped over 8 inches of snow in Duluth yesterday and last night. I really wish it was a joke, but it was very real, just ask Mike. He went out this morning at 5:30am to snow blow the second round of snow. The snow was heavy and wet and was too much for his antiquated snow blower. One half of the snow blower’s auger system no longer works. We may just have to start driving over it (which is easy for me with 4WD) or parking in the street (this will be Mike’s option) until Spring actually arrives in Duluth. Mike drove all of us in the 4WD in the morning yesterday because of the weather. Sebastian got dropped off at school, I was dropped off at work and Sophia was dropped off at daycare. Mike made it to work after seeing a 19 car accident on the highway and other accidents along the way. Sophia missed her last swimming lesson of the session and also missed preschool (her 1st absence) due to the weather. Snow, ice and wind gusts of 43mph made it too dangerous to venture out during the day unless necessary. Mike did have to make the return trip to pick us all back up at the end of the day. Fortunately, the driving conditions had improved by that time. Sebastian’s school conferences were held last night despite the inclement weather. His teacher had wonderful things to say about his school work and his respect for his classmates. She said that he is a joy to have in his classroom. After we finished conferences, we went to the Chester Bowl Ski Banquet. 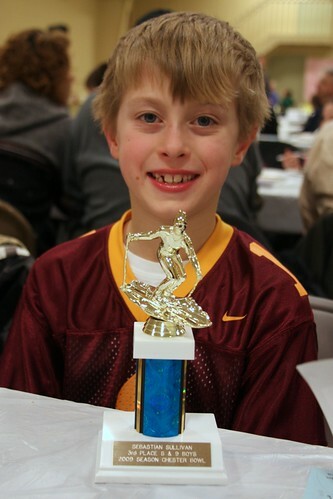 Sebastian picked up his trophy for finishing 3rd place overall for boys 8-9 years old for the Chester Ski Race season. 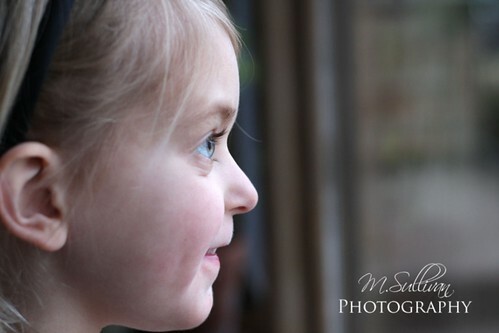 Here are a couple of shots I took of Sophia with my new camera lens. 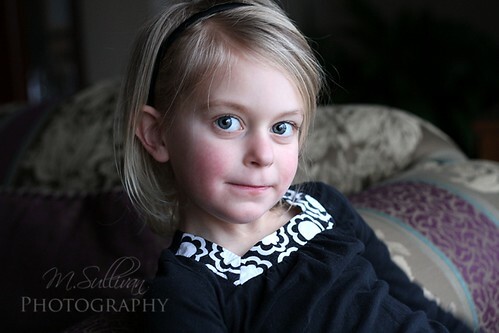 It was a very inexpensive purchase, but it works great for portrait photos. Sophia offered to be my model while I tried it out.